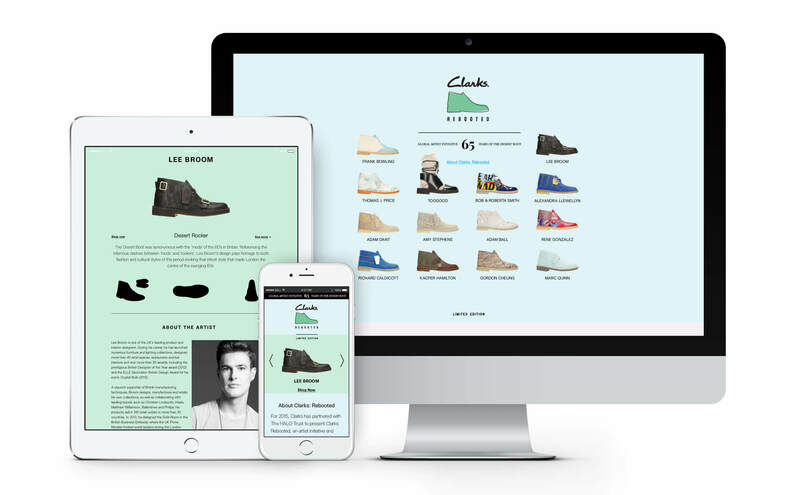 For the celebration of the 65th anniversary of the original Clarks Desert Boot and the 190 years of the Clarks Story we were commissioned to collaborate on the identity and designed the web and mobile site for Clarks: Rebooted. Clarks: Rebooted is an artist initiative and global collection which gathers the talent of 14 leading British and UK-based artists and designers from different creative disciplines to work outside their usual media and create a one-off art piece by interpreting the iconic Desert Boot, as well as design a limited edition. The art pieces and the models of each Desert Boot integrate a touring exhibition which will be launched at Design Shanghai, in March 2015, and presented at Salone del Mobile in Milan the following month. In May the exhibition will be at the citizenM in NYC and culminate with an auction of the unique works of art in late Autumn 2015. This project was commissioned for Clarks by creative consultancy Campbell-Rey with whom we collaborated on the identity. 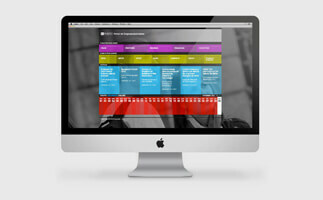 We designed and developed the Portal of Entrepreneurship as a jump board, the go to source for information, news and events around the Porto University's entrepreneurial ecosystem. Todoist is a powerful task manager for personal productivity which It lets you manage tasks from your inbox, browser, desktop, or mobile device.